Chelsea Green Publishing Company, 9781603582582, 252pp. This book has become a favorite of K-12 teachers, university faculty, and corporate consultants. It provides short gaming exercises that illustrate the subtleties of systems thinking. The companion DVD shows the authors introducing and running each of the thirty games. 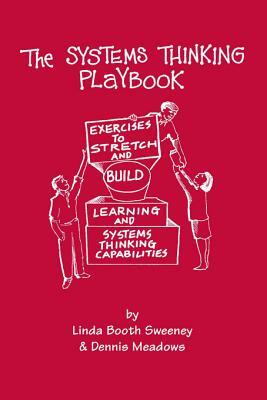 The thirty games are classified by these areas of learning: Systems Thinking, Mental Models, Team Learning, Shared Vision, and Personal Mastery. Each description clearly explains when, how, and why the game is useful. There are explicit instructions for debriefing each exercise as well as a list of all required materials. A summary matrix has been added for a quick glance at all thirty games. When you are in a hurry to find just the right initiative for some part of your course, the matrix will help you find it. Linda Booth Sweeney and Dennis Meadows both have many years of experience in teaching complex concepts. This book reflects their insights. Every game works well and provokes a deep variety of new insights about paradigms, system boundaries, causal-loop diagrams, reference modes, and leverage points. Each of the thirty exercises here was tested and refined many times until it became a reliable source of learning. Some of the games are adapted from classics of the outdoor education field. Others are completely new. But all of them complement readings and lectures to help participants understand intuitively the principles of systems thinking. Linda Booth Sweeney, Ed. D., is a researcher and writer dedicated to making the principles of systems thinking and sustainability accessible to children and others. She has worked with Outward Bound, Sloan School of M.I.T., and Schlumberger Excellence in Educational Development, or SEED. She is the author of The Systems Thinking Playbook; When a Butterfly Sneezes: A guide for helping children explore interconnections in our world through favorite stories; Connected Wisdom: Living Stories about Living Systems and numerous academic journals and newsletters. Sweeney lives outside Boston, Massachusetts. More information is available at www.lindaboothsweeney.net. Dennis Meadows is Emeritus Professor of Systems Policy and Social Science Research at the University of New Hampshire, where he was also Director of the Institute for Policy and Social Science Research. In 2009 he received the Japan Prize for his contributions to world peace and sustainable development. He has authored ten books and numerous educational games, which have been translated into more than 15 languages for use around the world. He earned his Ph.D. in Management from MIT, where he previously served on the faculty, and has received four honorary doctorates for his contributions to environmental education.